Aldi Sells Wrongly Labelled “Halal Black Pudding” - What are the labelling requirements under the law? Aldi has apologised after their black pudding pakora was incorrectly labelled as halal-certified. Muslim customers of Aldi were left angered by the mistake that resulted in the supposedly halal black pudding being sold containing pig blood and skins - forbidden in Islam. The manufacturer responsible 'Punjab Pakora' has issued an apology for the incident, claiming it was a printing mistake that has now been rectified. "We are issuing a notice about the recent discovery of halal being advertised on the black pudding sleeve as being a printing mistake, and have rectified the issue immediately, we sincerely apologise to the public who have been affected by this mistake and would like to thank everyone who brought this error to our attention." Furthermore Adi outlined that they had investigated the issue with the supplier and that the product, only on sale in Scotland has now been recalled. 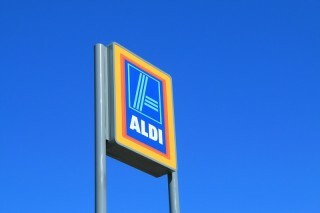 Aldi also issued an apology however they interestingly states that this was not a food safety or legal compliance issue. We take a look at the issue of food labelling and whether there is any legal requirements that Punjab Pakora may have breached. What is the law relating to food labelling? Not be misleading - Certain basic information must be shown and ingredients must be listed.Under certain circumstances, warnings may also be required. It is also necessary to include anywhere on the packaging (it can be on the front, side or back) ◦ If there are more than two ingredients, a list of ingredients. The rules for food labelling in general apply to all food including Halal and Kosher products - there are no specific legal requirements either in UK or EU law for labelling of these products, however there are specialist agencies granting certification to ensure quality.There have been successful investigations by trading standards into businesses displaying that they are approved by a halal agency, where this claim has turned out to be false. These investigations have however been brought under consumer law where the consumer has been mislead as opposed to labelling law. The situation is difficult to regulate with complaints from both those looking only to purchase halal meat and also those looking to avoid Halal meat. In 2014 there was a great deal of controversy involving many restaurants and supermarkets selling halal meat products without disclosing this to customers - this is because of the way in which animals are slaughtered in order to become halal. The government considered making such disclosure a legal requirement. The rationale behind food labelling is that consumers can make a clear and informed decision about what they are purchasing. The labelling used by Punjab Pakopra may be an offence under the food labelling regulations. Although the ingredients were listed on the back, including pork blood and skin which is not permitted by Islam, the marking as halal may be misleading. Generally the test for misleading information is whether if the information had not been provided, the consumer would have made a different choice which in this case they would have. Aldi claim that there are no legal compliance issues and have offered those involved in the scandal a full refund for products purchased. For more information, please read our legal guides on consumer rights.